Beautiful 10K Gold Stampato bracelet. Bracelet design comprised of satin finished O's between white gold diamond cut high polished X designs. 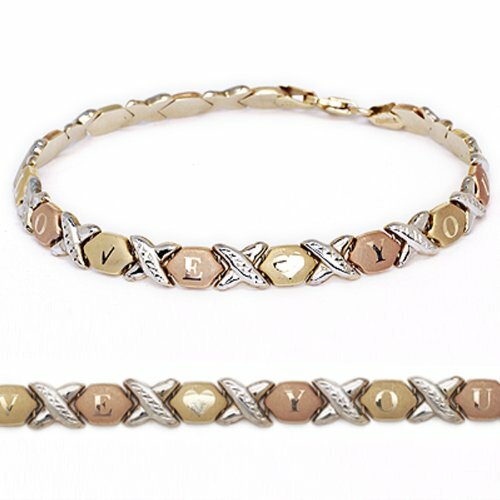 High polished letters on each of the O's spell out "I LOVE YOU" giving the bracelet a simple yet elegant look. The bracelet closes with a lobster clasp. 2 LENGTHS AVAILABLE: You can choose from size 7", or size 8" Love x & o bracelet.